‘I saw Bishkek as an unfilled lin­en can­vas; one that I wanted to paint on’. 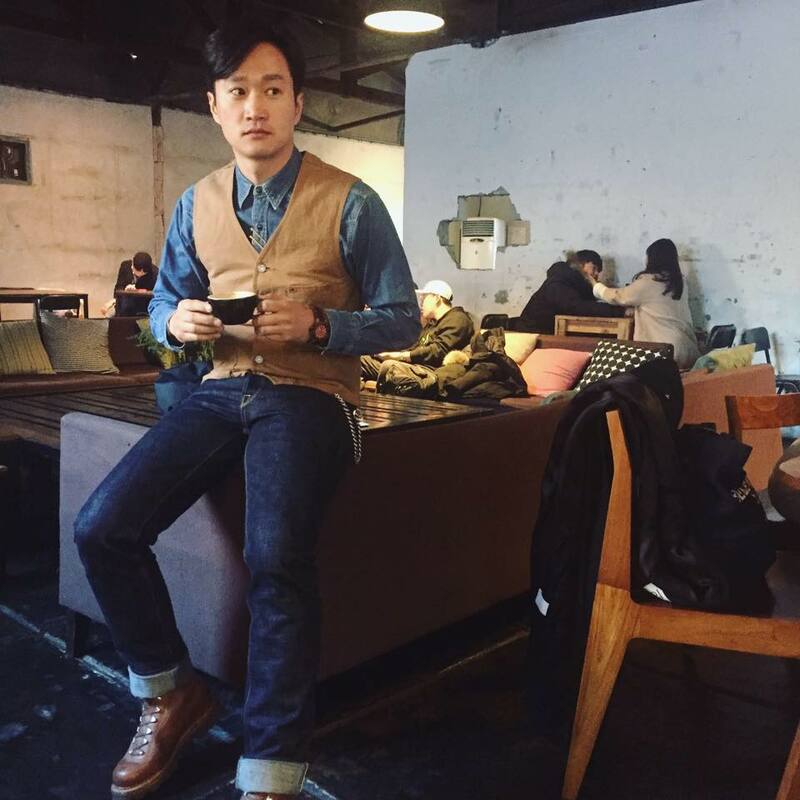 Chi­hoon Jeong is a South Korean entre­pren­eur based in Bishkek, Kyrgyz­stan. 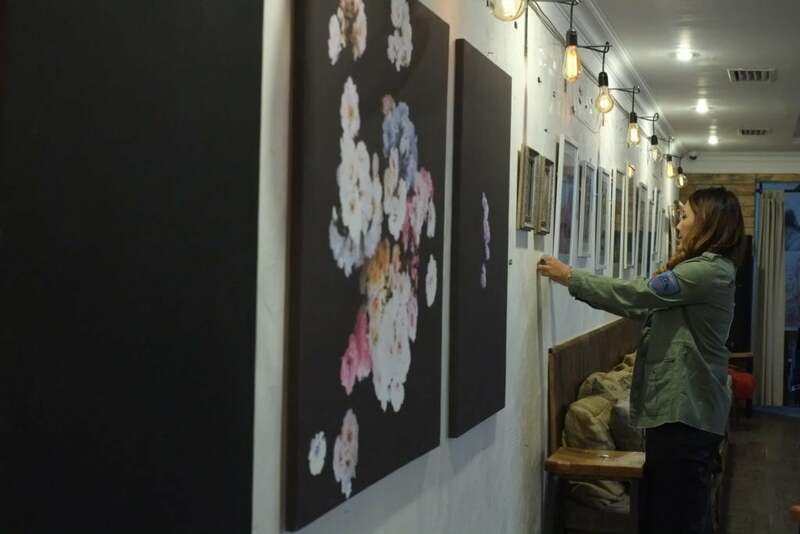 His Korean chick­en res­taur­ant Chick­en Star has quickly estab­lished itself as a cre­at­ive hub in the city, with reg­u­lar cul­tur­al events and loc­al art on the walls (includ­ing works by Chi­hoon him­self). Recently, Jeong also launched Flask, a cof­fee shop on the AUCA cam­pus, which is play­ing a cent­ral role in the city’s cof­fee revolu­tion. 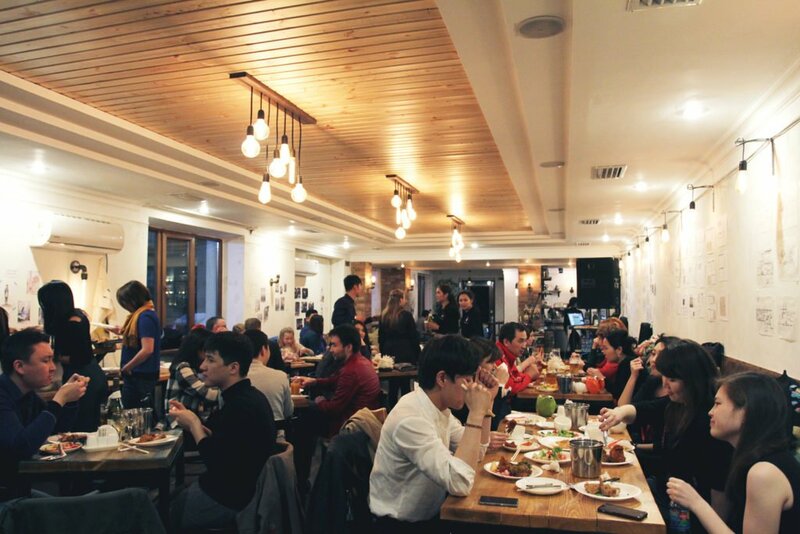 Both Chick­en Star and Flask will be expand­ing to Almaty this year. 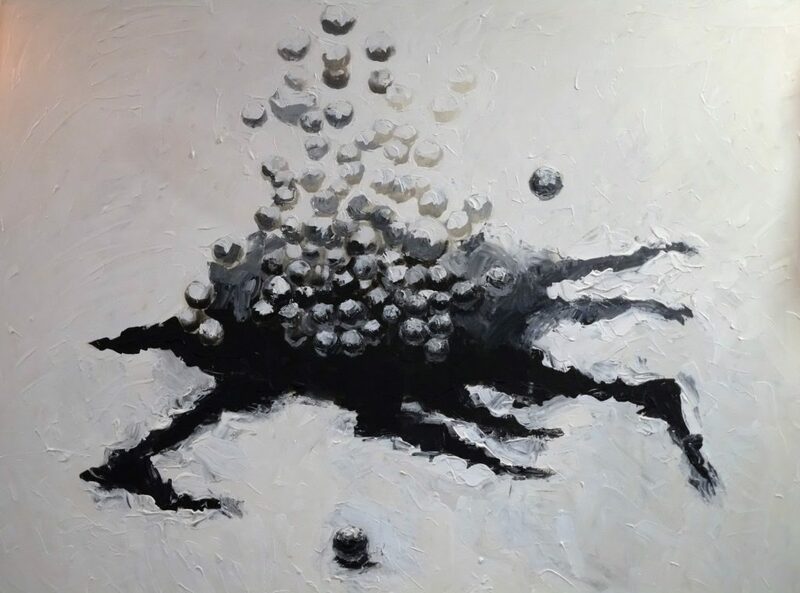 Through his com­munity-centred, artist­ic­ally motiv­ated approach to ser­vice and busi­ness, Jeong has left an indelible mark in his short time in the Kyrgyz cap­it­al. What led to you becom­ing an entre­pren­eur Kyrgyz­stan? After com­plet­ing my master’s in Boston and work­ing as an artist for a short time, I was set to start a PhD in Manchester in philo­sophy and art. I wasn’t con­vinced that I wanted to be in the lib­rary for 5 years, how­ever, so I decided to start trav­el­ling to help guide my decision. Dur­ing this trip, I vis­ited my uncle, who has a busi­ness in Kyrgyz­stan. At this point I already felt that I had to do some­thing here. When I first went to Bishkek in Novem­ber 2014, I remem­ber think­ing how raw and organ­ic the city was – for example, there were amaz­ingly clean and fresh ingredi­ents but only very few decent din­ing res­taur­ants, so I real­ised that I wanted to cre­ate some­thing new there. While liv­ing in the US, I was already inter­ested in dir­ect and sus­tain­able busi­ness – so I only went or res­taur­ants with loc­ally sourced ingredi­ents or cafés with loc­ally sourced milk. Des­pite lik­ing sus­tain­able busi­ness as a con­sumer, I nev­er thought about being an entre­pren­eur. Nev­er­the­less, I saw Bishkek as an unfilled lin­en can­vas; one that I wanted to paint on. As a res­ult, I went back to Korea and star­ted pre­par­a­tions for my new busi­ness, after telling my par­ents that I wouldn’t be return­ing to Eng­land to start my PhD. I decided with my uncle to start a Korean fried chick­en res­taur­ant – it had star­ted to become pop­u­lar around the world. Addi­tion­ally, Kyrgyz­stan is vir­tu­ally the per­fect loc­a­tion for a chick­en res­taur­ant, as it used to be the Soviet Union’s prin­cip­al chick­en sup­pli­er. Fur­ther­more, sun­flower oil is cheap­er than corn oil in Kyrgyz­stan because there are sun­flower seeds every­where – and so I thought that there are per­fect con­di­tions for a Korean chick­en res­taur­ant in Bishkek. How dif­fi­cult was it to cre­ate Chick­en Star and organ­ise it in a per­son­al way? It was very dif­fi­cult at the start. I didn’t have any loc­al con­nec­tions and the bur­eau­cracy involved in set­ting up the busi­ness was tough too. There were also lan­guage dif­fi­culties as I spoke neither Kyrgyz nor Rus­si­an and so I had to rely on my first man­ager for trans­la­tion. Indeed, apart from the man­ager, none of the 7 people I ori­gin­ally hired could speak much Eng­lish, so he had to trans­late everything while I was train­ing my staff and explain­ing everything to them. It was a lot of fun though, as it was my first busi­ness and I hadn’t done any­thing like it before. I ori­gin­ally just thought ‘let’s do it’, which I think is the best approach, as I would have oth­er­wise wasted lots of time learn­ing about the leg­al sys­tem and how stuff works in the coun­try, rather than learn­ing by doing. A key aspect for me from the very begin­ning was my view that it should be a people-centred busi­ness, with a strong focus on the team. I don’t want to give orders but rather expect every­one to be respons­ible and pro­act­ive. They should also not be afraid to make mis­takes. From the begin­ning my goal was for my staff to grow and so I helped them to expand their skills – I brought in Eng­lish teach­ers, for example. I love the people, and espe­cially the young people, in Kyrgyz­stan – they are all super smart but sadly there is a lack of oppor­tun­it­ies for them. I am a for­eign­er, and I could have just gone to ‘do busi­ness’ but I wanted to con­trib­ute some­thing to soci­ety. As a res­ult, I focussed a lot on build­ing my team and a sys­tem, which required a lot of research before. I made sure to focus on team­build­ing in the first few weeks after hir­ing my staff – we spent hours every day talk­ing, clean­ing, shar­ing food and work­ing togeth­er – an import­ant part of this for me was instilling the cul­ture and philo­sophy that I wanted for the res­taur­ant in my staff mem­bers. It was prob­ably quite tough for them at the staff, as they weren’t used to this work­ing cul­ture, but most were really excited about it. What is your vis­ion for Chick­en Star and Flask and how can you explain their suc­cess? I have a clear vis­ion for both. Chick­en Star’s aim was to make the world more joy­ful than the day before – to keep grow­ing and keep devel­op­ing. Human con­flict and suf­fer­ing come from our rela­tion­ships, but so do our hap­pi­ness and joy, so it all depends how we handle our lives and rela­tion­ships. Chick­en Star is related to the Bishkek com­munity so there’s a goal of build­ing a good rela­tion­ship with the city – who­ever walks in should feel joy and should be treated well, even if they aren’t a cli­ent. This all forms my vis­ion of build­ing a sus­tain­able com­munity. Spe­cial – being spe­cial and cre­at­ing a unique atmo­sphere and treat­ing every­one in the same way – every indi­vidu­al is spe­cial and has their own beauty. Tasty – main­tain­ing the qual­ity of the food, always con­trolling the taste and mak­ing sure the stand­ard remains high. Artsy – the space is artist­ic. In my opin­ion, art inspires soci­ety and can help devel­op neigh­bour­hoods. I have exhib­i­tions every month and sup­port loc­al artists, includ­ing through 6-month res­id­ency pro­grammes. This is a win-win, as I can sup­port their work and it can help make art more access­ible, while also provid­ing atmo­sphere and inspir­a­tion in the res­taur­ant. Respons­ible – without the com­munity, we can’t exist and make busi­ness, so we have done mul­tiple char­ity events. We’ve helped loc­al orphan­ages and donate reusable food waste to a loc­al com­munity organ­isa­tion, for example. We also try to recycle our trash and reuse as much as pos­sible. My aim for Flask is sim­il­ar. Cof­fee is one of my pas­sions – I love how much one cup can change based on where the beans come from and then how you roast and brew them. There are also so many dif­fer­ent tastes – some are fruity, nutty, chocol­atey etc. There’s also no alco­hol and so you can share the joy of the amaz­ing taste of cof­fee with every­one – and it isn’t that expens­ive. On top of this, I want to spark innov­a­tion. When I launched Flask I did a pitch to the AUCA say­ing that I don’t just want to be there to make a busi­ness but that I want to con­trib­ute to the AUCA com­munity. We always cre­ate a new menu and only serve high qual­ity cof­fee, tea and food products. We have also star­ted doing a lunch talk on Thursdays, where every­one is invited to come and share their stor­ies. I believe that inspir­a­tion and innov­a­tion does not just come from fam­ous entre­pren­eurs and sci­ent­ists but from every­one and so I try to cre­ate a dia­logue. This was per­fect for the AUCA com­munity, but I also want to expand to the city centre and oth­er cit­ies in Kyrgyz­stan – I want to inspire people to tell their stor­ies because every­one has their unique story and unique abil­ity to sur­prise people. This is why Chick­en Star and Flask are dif­fer­ent from oth­er cafes and res­taur­ants – I always wanted them to be unique and to give some­thing to the com­munity in an innov­at­ive way and with great ser­vice. I really encour­age my team to be friends with our guests – nat­ur­ally they have to give a ser­vice as our cus­tom­ers are pay­ing but I want them to be friends as it cre­ates a bet­ter atmo­sphere. What is Bishkek’s poten­tial and how can cre­at­ive-minded people help the city achieve these goals? 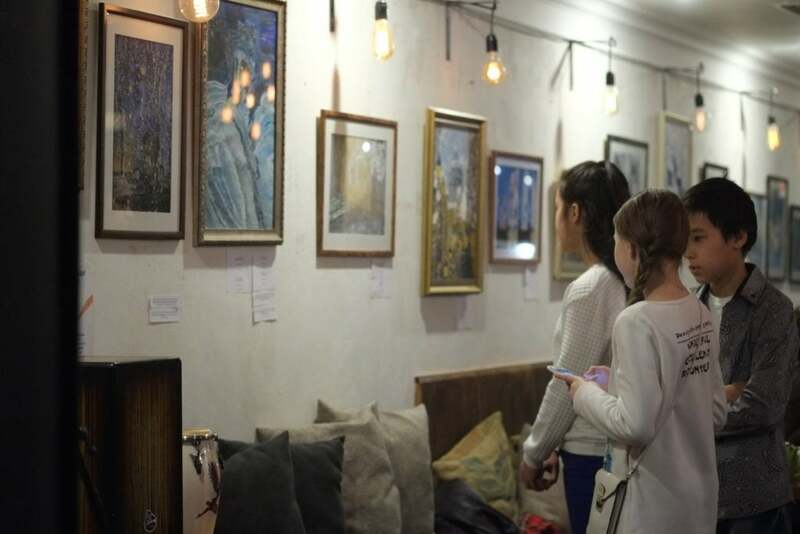 Bishkek has a huge poten­tial, espe­cially due to its free­dom of speech and cre­at­ive freedoms – this is why there are lots of artists here and why many Cent­ral Asi­an artists come here for their shows. As Kyrgyz­stan doesn’t have many nat­ur­al resources to rely on, art, cul­ture and start-ups should be respons­ible for driv­ing devel­op­ment in the coun­try. They cer­tainly have lots of poten­tial and people here often don’t real­ise that. Young people often tell me that they want to bring Star­bucks here, but I then tell them that I wish they could cre­ate some­thing like Star­bucks here and then take it to the world. It will prob­ably take a long time for Bishkek to real­ise its poten­tial, how­ever. I also hope that devel­op­ment comes from with­in, rather than from big for­eign com­pan­ies that would take away oppor­tun­it­ies from loc­al people. I think it’s there­fore import­ant for people to see the future and not just the present, which will enable them to launch their own pro­jects. People in Kyrgyz­stan are thirsty, and I think it is import­ant for them to use this energy for good here rather than leav­ing the coun­try and not com­ing back. Of course, life and oppor­tun­it­ies are cur­rently bet­ter else­where but if we provide oppor­tun­it­ies for young people in Kyrgyz­stan, they will stay and will con­trib­ute them­selves to devel­op­ing the coun­try. As a res­ult, the coun­try really needs to focus on the human resources it has and should pay atten­tion to edu­ca­tion and seek to strengthen cer­tain areas, such as IT. I think it’s really import­ant for there to be a focus on export­ing rather than import­ing in the coun­try. Import­ing ‘cool’ things is tem­por­ary – instead, the focus should be on improv­ing future poten­tial. This can be done by boost­ing Kyrgyzstan’s cur­rent strengths and look­ing for domest­ic solu­tions to its gaps. Cre­at­ive-minded people are cru­cial to any future devel­op­ment, but they need to make sure that they remain patient and have a clear out­look for the future. If they suc­ceed in this, I think Kyrgyz­stan will have a very pos­it­ive future. How import­ant is the role of entre­pren­eur­ship in Bishkek? There are a lot of young entre­pren­eurs in Kyrgyz­stan, includ­ing many people that I admire and respect, and I feel that I can learn a lot from them. I’m a part­ner of a group called Pro Art, which was star­ted by young entre­pren­eurs in Kyrgyz­stan. They cre­ated the group to help young stu­dents devel­op their edu­ca­tion and career, which in turn helps devel­op the coun­try and com­munity. They are all cre­at­ive entre­pren­eurs and when I talk to them I don’t feel any dif­fer­ence to the US. I just wish there were more people like them, as they do more for the com­munity than me. 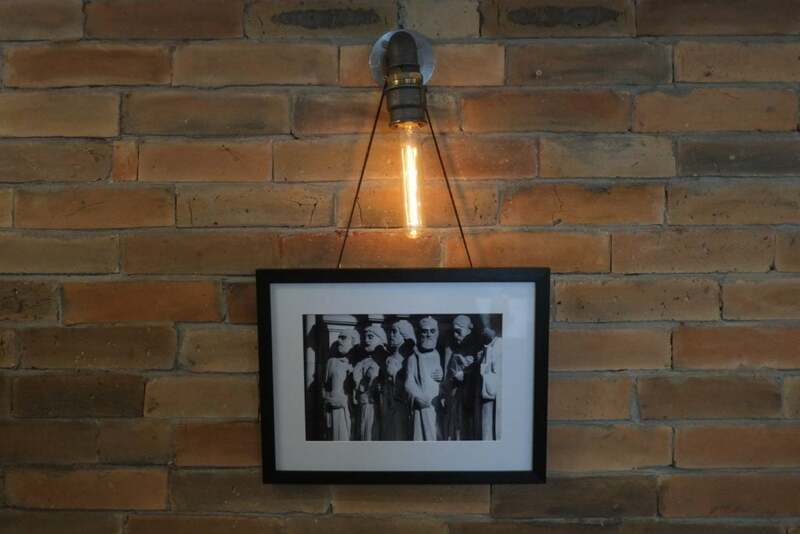 I just own a small res­taur­ant but since I’m a for­eign­er I get more atten­tion from the pop­u­la­tion, even though there are much more incred­ible entre­pren­eurs in Bishkek. How do you ensure stand­ards and qual­ity in your pro­jects? I give my team many freedoms but I’m very picky, I guess you could call me a per­fec­tion­ist. The most import­ant things are find­ing the right people, then train­ing them prop­erly and then put­ting them in the right pos­i­tion and con­tinu­ously giv­ing them a mis­sion and goals. It’s really import­ant to give free­dom and respons­ib­il­ity to your staff while ask­ing them to be pro­act­ive. For this to work, you have to make sure you clearly explain what your philo­sophy and vis­ion are, and you have to remind them reg­u­larly what they are. I remem­ber some­thing my fath­er told me when I was a child, 34 years ago in South Korea. He explained that the situ­ation in Korea was dif­fi­cult but that they were work­ing for the future and that their hard work would pay off in the next gen­er­a­tion. This is also import­ant for Kyrgyzstan’s stage of devel­op­ment. Work­ing towards the future may be slow and you might not be able to taste glory in your life­time, but you leave your leg­acy. People are nat­ur­ally the most import­ant part of this pro­cess and so in my com­pany I want all the part­ners and staff to be suc­cess­ful because their suc­cess is my suc­cess. If they tell me that they got offered a job from anoth­er com­pany I tell them that I think that’s great. I may lose one of the best work­ers in my team, but it is what it is and I’m glad that they can pro­gress. There’s also the motiv­a­tion of being able to train new people which is fun and allows me to cre­ate the great rela­tion­ships with my team and the com­munity. If they really care about their people, com­munity and future, busi­nesses will solve prob­lems cre­at­ively and people will react pos­it­ively. A lot of people want to make money, which is under­stand­able. How­ever, if they shift their motiv­a­tion towards improv­ing their com­munity, they are much more likely to solve prob­lems, which is a much bet­ter out­come for every­one. I hope there will be many more young entre­pren­eurs that are pas­sion­ate about the future. I always tell my team to not focus on com­pet­it­ors and to only think about our guests, as they’re the people we meet every day. We don’t meet our com­pet­it­ors and a lot of our people are spend­ing too much time on this. It is bet­ter to focus on our guests in the res­taur­ant, as I want to cre­ate a beau­ti­ful exper­i­ence for every­one that comes. Re-Meet the Stans: How Post-Soviet countries in Central Asia are redefining their identities.